Thirteen men sat around a table. It was their last night together, and the Rabbi had much left to say. He had walked with these men for three years, teaching them everything He could, and demonstrating the power of God pumping through His veins. But tonight they needed to be prepared for what was about to come. It was unfathomable for these disciples who called Him Christ. They would be devastated. Afraid. Confused. This was a crucial moment. At the last supper, Jesus washed their feet. And he promised the Holy Spirit. At the end of the meal, with their stomachs full and their hearts burdened, Jesus led them down the stairs of the upper room, through the winding narrow streets of Jerusalem outside her city gates. “Apart from me you can do nothing,” warned the Savior. This was a powerful scene. The fruit of the vine was life giving. The wine a symbol of joy. As they plodded along the vines Jesus continued, “I have told you this so that my joy may be in you and that your joy may be complete” (John 15:11). Joy. We all want that bubbling out of us, don’t we? These scriptures were part of the Bite of Bread reading plan this week. With each day as I prepared to teach about it on Periscope, (click to see the teaching videos.) His words sank deeper into my spirit. I’m convinced that if we didn’t know any other biblical teachings, if we only studied John 15:1-17, and we lived out these commands, our lives would be richer, deeper, purposeful, and full of joy. These instructions from Jesus are key. 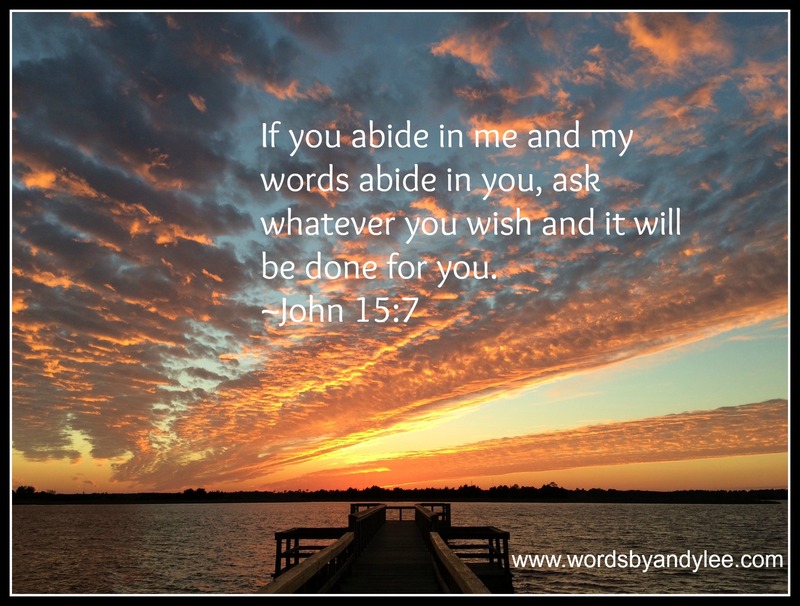 How do we “abide” or “remain” in Jesus? That word means “dwell”. Live everyday, every conscious moment with Him. Recognize His presence. Hold a conversation with Him through out the day (not a monologue, but dialogue.) Listen for His response. Follow His leading. Simply put, walk with Jesus. Jesus also told the disciples that they would abide or remain in Him when His words remained in them. We must read the Bible and study it. Putting the Bible under our pillows at night won’t cut it. We have to put it inside us. If we struggle with unbelief concerning God’s love for us, we need to pray, “Lord! Help my unbelief! Help me receive your love.” Love changes everything. Do I need to expand on this one? It’s pretty simple. But we probably need to pray for help in this department too. Yet I believe that as we abide with Him daily, the loving and receiving love will flow into place. And our prayers will be answered because we (the branches) will be so tangled up with the vine, that we will be one with His thoughts and will. Our desires will align with His. Our lives will produce fruit that will last into the next realm and therefore, we will live more purposeful lives. We will find purpose beyond today. Share your thoughts: Which of the three steps is the hardest for you? 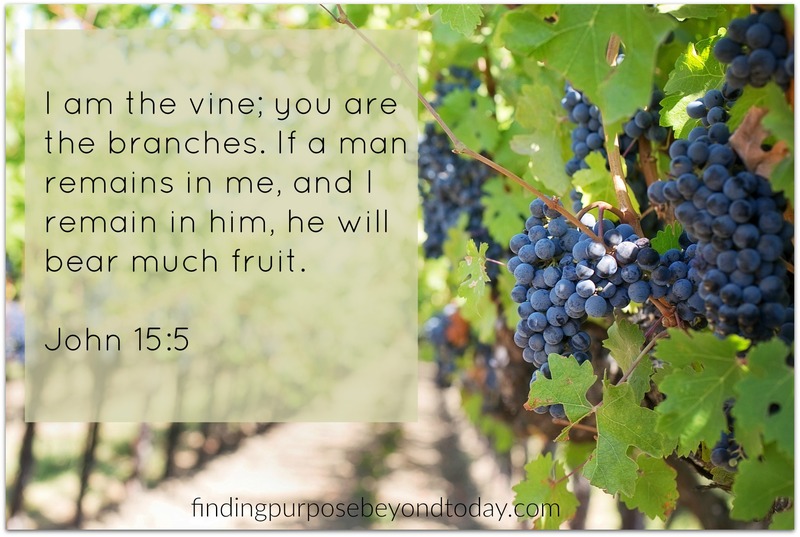 Abide in me At the last supper Jesus washed their feet Bite of Bread Finding purpose beyond today I am the vine you are the branches Three steps to living a more purposeful life. 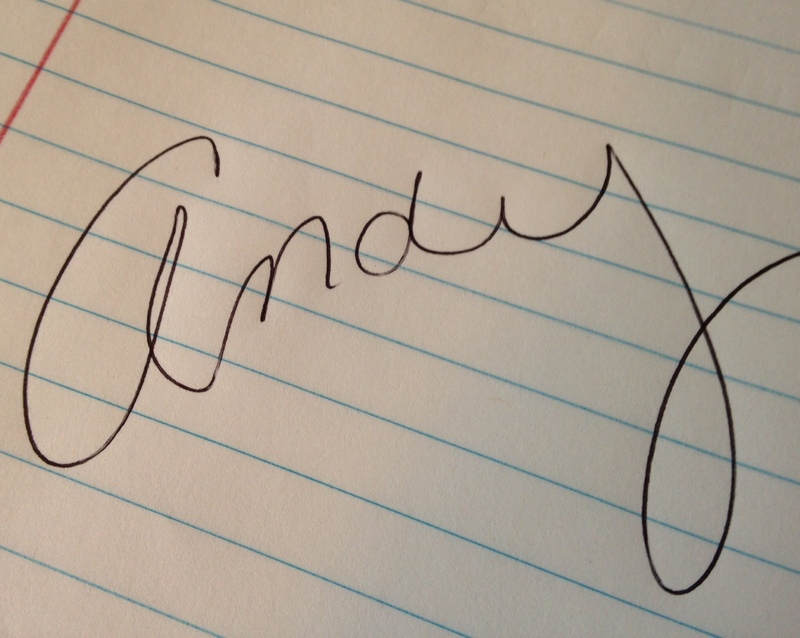 Hardest for me Andy, is love each other. I do realize though, that you can love but not like what a person says or does. I guess love from afar? This is the challenge for me. And the love of God is so far beyond our understanding…I do believe love is a choice. Hey Pam, thank you so much for sharing! Love is a choice, but God can also soften our hearts and give us the grace to love. Praying for help in that department is amazing. I’ve experienced it time and time again as I’ve struggled to love people. I’ve also prayed to see them as God does. That always helps me. Just being aware of this struggle is huge! I’ll be praying for you. Much love! No worries, Janice! I’m going to start putting the link on our Wednesday Warrior page. Love you!